Mark McDevitt and Robert Lee have been friends since college. After graduating, they did their own thing, designing for screen printing companies and t-shirt shops, as well as creating engaging illustrations for various local and national brands. After doing a bit of their own work on the side, they realized the potential of teaming up together. In 1998, Methane Studios was born. 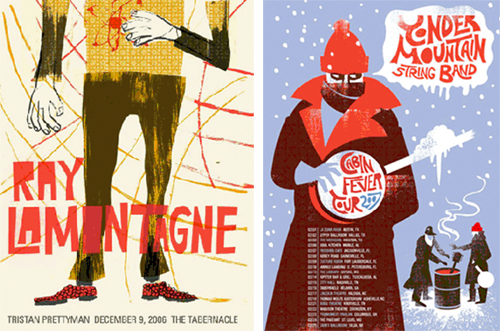 Much of their early work still sustains them- silk screen prints for music gigs. They've created incredible artwork for hundreds of artists, which ultimately caught the attention of the Dave Matthews crew. 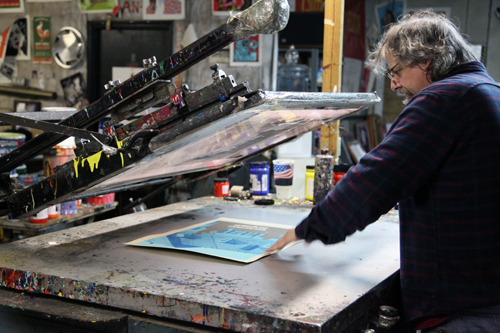 Since 2005, the pair have been the go-to guys for all of Dave's show prints, illustrating between 40-70 a year. 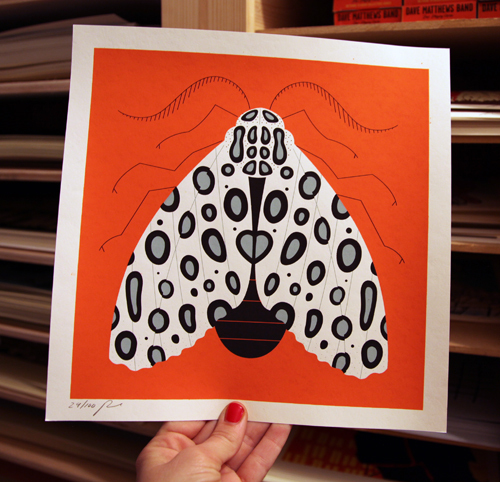 While visiting their Atlanta studio, this one, titled Moth Leopard by Robert was one of my favorites. I'm drawn to the bright, bold colors and graphic print. These two prints by Mark have garnered a lot of attention as they can fit so well with so many decor styles. Mark found inspiration from a 1930's mug shot for the guy silhouette, and for the mrs.- a vintage German actress from that same time period offered the right look. 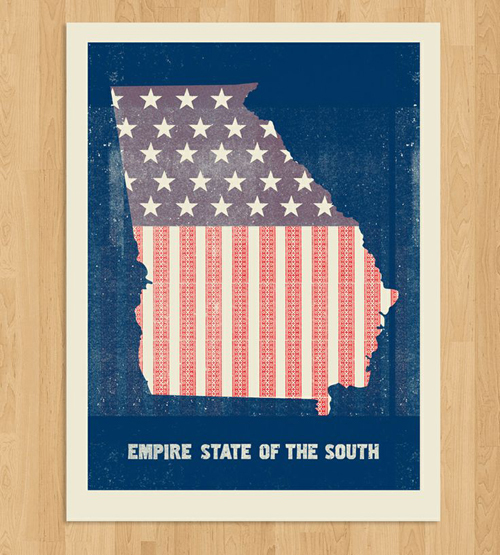 Maybe I'm a bit biased as I live in Georgia but this is my personal favorite, which is available as a print or a limited few are sold on wood. I bought the wood version for my kitchen and it works well as a strong focal point. Even knowing who designs what, it's hard to tell their artwork apart. Their styles are very complementary, which makes them a strong, creative force with an equally strong brand. As Robert shared, "We're both very illustrative with a retro flair and comtemporary feel." 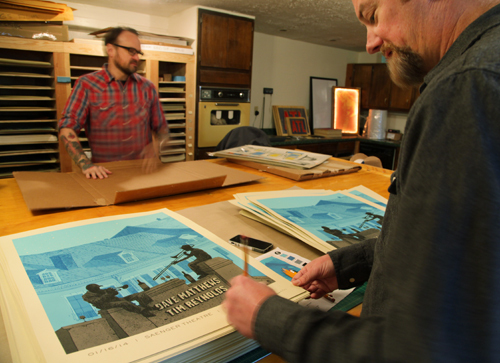 On the day I visited, they were printing another Dave Matthews print- no surprise there. 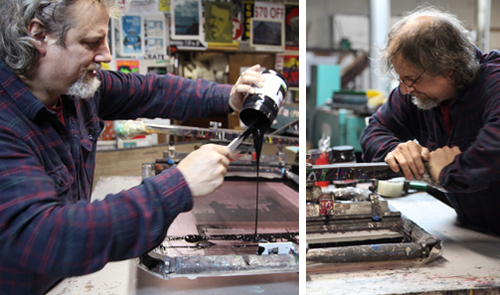 And I have to say it was really interesting to watch the screen printing process to see these illustrations come to life before your eyes, one by one. 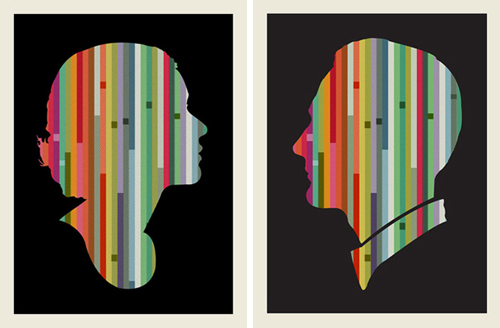 All of Mark and Robert's prints are limited edition and priced right, averaging at just $30 each. And the nice part is they sign each and every one by hand. I want to thank Mark and Robert for showing me around their studio and hanging out for a bit. They were incredibly kind and generous with their time. To see these two in person and peruse their ingenious creations yourself, visit them in Nashville at the Cabin Fever Heyday event this Sunday, February 8 or in March at South by Southwest in Austin. Manly art is needed for manly spaces. Film and football posters work well enough for college, but then, one must move on in life. I like the work being done over at Methane Studios in Atlanta, Georgia. 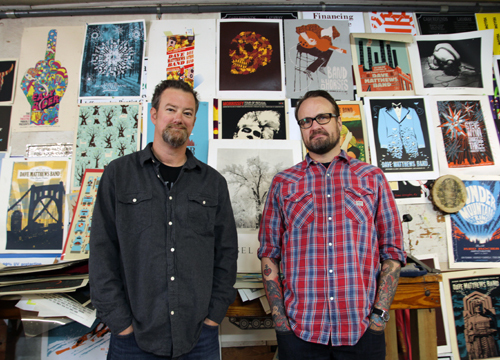 Mark McDevitt and Robert Lee created Methane Studios in 1998. 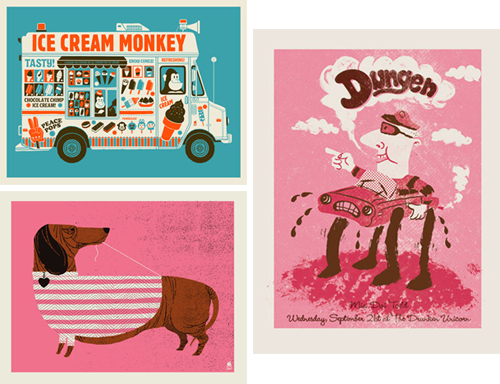 They started their company by designing band posters but have since enhanced their offerings to include artistic prints that cater to the everyday dude. There are so many great band posters out there but I really like the vision of Mark and Robert. Many of the prints have a fantastic, vintage feel. 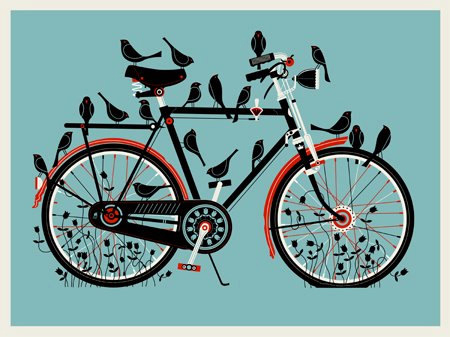 In their Etsy shop, you'll find a slew of Dave Matthews prints, as they were commissioned to design posters for the band back in 2005, and still continue to do so.